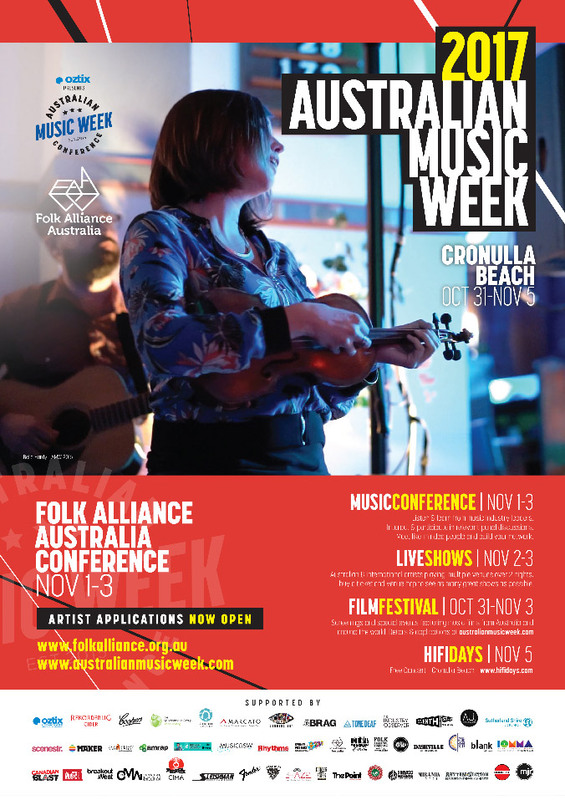 Folk Alliance Australia is proud to be teaming up with Australian Music Week this November where are holding our Folk Alliance Conference. We are looking forward this opportunity to bring together many of the key players in our scene…festivals, artists, arts workers, arts organisations and the music industry. The Conference Program offers an array of networking activities, stimulating Workshop sessions, specially targeted Panels and Forums , Q&A sessions , workshops and showcase concerts – take this opportunity to network with fellow members and supporters of the Australian folk industry. Your registration also gives access to the range of activities on offer at Australian Music Week. Practical advice from a variety of industry perspectives addressing issues such as: getting gigs; your band as a business; calculating your fee; building your team; media & PR, management; booking agents vs. staying independent; regional touring; self-care; and fan engagement. Panellists: Bob Charter –Tour Management; Fran Daly – Troubadour Management; Carolyn Logan – Penney and Logan PR; Sandy Brady- Port Fairy Folk Festival & Musician; Glen Dickie – Sounds Australia. Meet leaders in the Folk scene from across the globe, offering a collective overview of ‘what’s hot and happening’ in folk from an international perspective. In particular, the place of folk within the broader music industry and the intersections of contemporary and traditional folks styles and what this offers us into the future. They will also provide insight into the world of international touring and how to break into new markets and the value of Australian artists of being part of international showcases, conferences and events. Panellists: Lisa Whytock – Showcase Scotland/Active Events; Sheana Keane – Folk Alliance International, Jed Hilly – Americana Music Association, Andy McLean – East Coast Music Association. These 10 minute sessions will get you up ‘close and personal’ to industry insiders from across Australia and beyond who will try hard to answer any of your questions. This will be a great opportunity to build your networks and connections and maybe set off that light bulb moment! Sign up on line or at the beginning of the day. 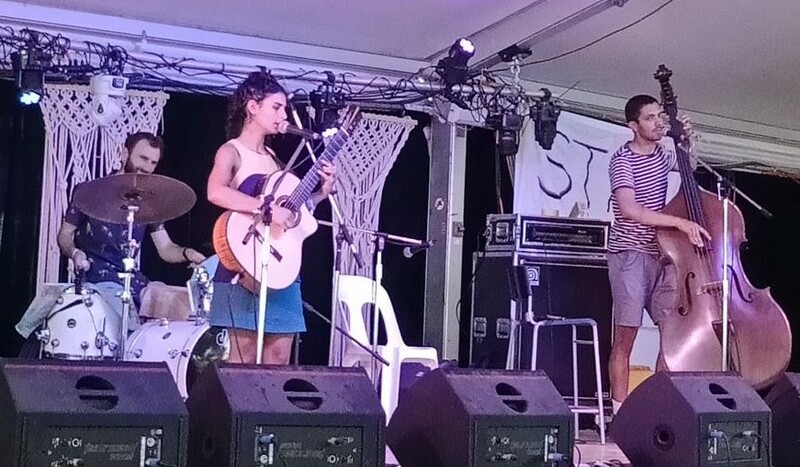 We ask Folk Festivals across Australia what they offer to the Australian Music Industry and how they maintain their event, in what seems at times a crowded market place. We will discuss questions such as: Is expanding growth they way to go? How do you cultivate a festival community? How do you approach the development of a festival program – what do you look for in applications? What’s the significance of festivals in the sustaining folk music here in Australia? What makes for a successful festival? Celebrating this opportunity to gather the folk world, this last session breaks out to small spaces. Focus groups will discuss ideas, issues and ways to collaborate and support each other into the future. The small groups will be hosted by a FAA Committee Members who are keen to hear about any exciting ideas that will strengthen the organisation. Information gathered from these groups will feed back into the organisation, sharpening future planning for FAA and stimulate new opportunities in Folk Scene in Australia.